Master Zhao Bichen (1860-1942) – Daoist Immortal. 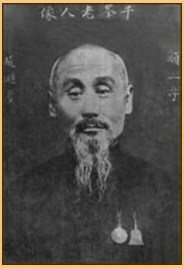 Master Zhao Bichen (趙避塵) also known as Zhao Yizi (趙一子) was a much renowned practitioner of ‘neidan’ (内丹) – a term which literally translates into English as ‘internal medicine’, with the word ‘dan’ (丹) actually referring to a ‘red’ medicinal powder or ointment – or more specifically a ‘red pill’ (cinnabar). Within the context it refers to the practice of ‘internal developmental medicine’ and as a consequence, is often rendered into English as Daoist ‘alchemy’ or ‘yoga’. The practices themselves are designed to transform the inner mind and body so that a calm expansive (and permanently restorative) awareness permeates the physical body and transforms it at the cellular level. Such an achievement is referred to as the attainment of ‘immortality’ – which is the eventual objective of all Daoist paths regardless of the differences and peculiarities of each lineage or school. The term ‘immortality’ is pronounced ‘xian’ (仙) and is written as a person living on a mountain. However, exactly the same word (xian1) can be written using ‘僊’, which depicts a person in the act of climbing – literally ascending through effort. Collectively these two ideograms refer both to the specific act or practice of internal development (neidan), and the achievement of the highest Daoist objective, which is the acquisition of spiritual and physical immortality (xian). Immortality is often equated with longevity or the act of living a very long physical existence before transforming into a purely spiritual essence at the point of death of the human body. Death in this instance is conquered as the dying process is transformed into a facility for the refinement of the ‘qi’ energy frequency, or ‘vital force’ (associated with the breath) which defines existence. For the Immortal, death is not the end of existence, but merely a means of ascending to a higher plane of being. In the popular imagination, however, the concept of immortality has often been taken literally and interpreted to refer to the notion of the attainment of a permanent physical existence. This viewpoint, although acknowledging a certain spiritual aspect to the attainment of immortality, nevertheless, tends to limit the notion to purely physical attainment. This viewpoint that defines immortality as the attainment of the state of a permanent, physical longevity, is inspired in-part by the fact that many Daoist masters lived to a very old age, still able to perform impressive physical and spiritual feats in the process. 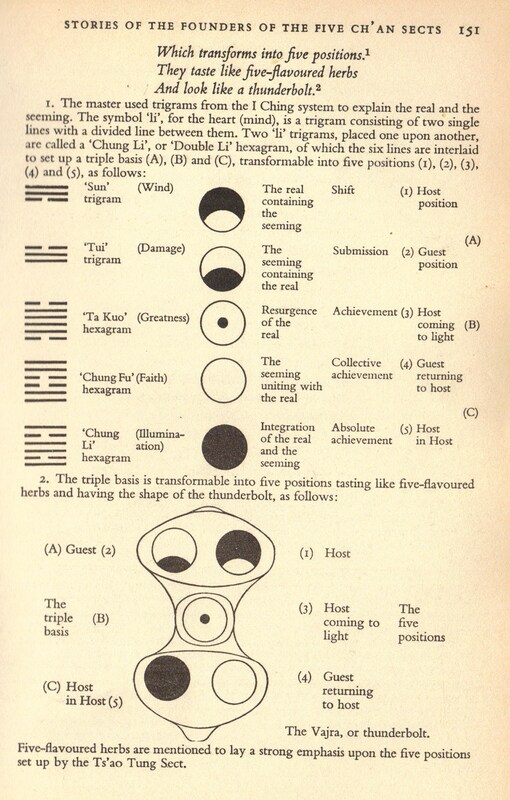 It is clear, however, from the study of Daoist literature that the concept of ‘immortality’, although often hidden, or obscured within an array of bewildering instructional metaphor and allegory, is actually referring to an inner process of spiritual development that transforms the mind and body through breath control, visualisation, physical exercise, and the imbuing of specific medicinal compounds. Daoist practices can emphasis the use of the body, but only in relation to the perfection of the mind. The body is never exclusively trained without the mind being taken into account. Indeed, the wisdom that defines the structure of Daoist philosophy and practice originates within the mind itself, a mind that has been fully realised, and therefore transformed into a profound wisdom. For the accomplished immortal, the mind and body are transformed into a state of ‘oneness’, whilst for the ordinary being who has not been through the ‘neidan’ process of cultivation, the mind and body appear separate and distinct. From the unenlightened position, an immortal appears to live a very long time, but for the immortal, time and space in the conventional sense, no longer has any meaning. The refinement of qi is so precise and subtle that the immortal’s mind and body appears to give rise to all sorts of miraculous feats. Popular literature has tended to focus upon these miraculous feats at the expense of the intricacies of the neidan practice itself. The state of immortality is the realisation of enlightenment itself – with apparently miraculous feats, (such as long life), being merely expedient by-products of this state. In this respect, the cultivation of Daoist immortality does not go beyond the correct cultivation of vitality and spirit. Zhao Bichen was born in 1860, the penultimate year of the Emperor Qing Xianfeng’s reign (1850-1861), a reign that saw the Qing Dynasty beset on all sides by destructive forces. Internal rebellions broke out and were eventually defeated (at a terrible cost in lives), at the same time as pressure from Western imperialist forces came to bear from the outside. The Second Opium War culminated with British and French armies entering Beijing toward the end of 1860, killing, burning and looting as they did so. Prior to this event, the Western forces had inflicted serious military defeats upon the Qing (and Mongolian) forces, rendering China helpless in the face of further aggression. Beijing was thrown into chaos and the imperial family fled for their lives. It was against this backdrop that Zhao Bichen was born in Yangfang Town, Changping County, situated in the suburbs northwest of Beijing. His father was called Zhao Yong-Kuan, and his mother was called Meng Shengzhen. When young, he expressed a deep appreciation of martial arts and Daoist style exercises such as Dao-fa jia-gong (道法家功), and Dao-jia xing-ming (道家性命). This training ensured a balanced development of both external and internal qigong cultivation, creating a tough and yet flexible physical body, and an inner body of optimum biological functioning. With this firm foundation, Zhao was able to focus his mind in meditation and realise the state of emptiness. Daoist teachings are very diverse; they are also usually very distinguishable from the teachings of Buddhism. However, Zhao Bichen was originally from the Wu Liu School (伍柳派) founded around 1644. This school was founded by the Daoist Wu Chung-xu, and the former Ch’an Buddhist monk, Liu Hua-yang. 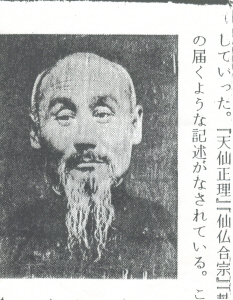 Wu Chung-xu had previously trained in the Dragon Gate School (Longmenpai), which was itself a sub-branch of the Complete Reality School (Quanzhenpai), whilst Liu had become disaffected with the austere monastic lifestyle associated with Ch’an Buddhist practice, favouring instead a more natural approach to self-cultivation. However, Liu was initiated into the school by master Wu and attested that Buddhist Ch’an meditation (upon emptiness), correlated exactly with the primordial essence of Daoist cultivation. Both methods sought a unifying and all embracing, underlying reality through disciplining the body and focusing the mind. Wu and Liu agreed that Buddhism and Daoism are paths that seek the same reality, and this agreement led to the formation of the Wu Liu School – which is referred to as a ‘xianfo’ path, or a path of Immortals and Buddhas. The Wu Liu School draws on the teachings of all Daoist schools and specific Buddhist texts such as the Diamond Sutra, the Surangama Sutra, and the Hua Yen Sutra – all prominent Mahayana discourses, routinely found within Ch’an communities. The Wu Liu also advocates the study of Confucian texts from a Daoist perspective. This school emphasises an ‘earlier divine sky’ (xian tian) method, which through cultivation (neidan), dissolves ‘essence’ (jing) into earlier divine sky vital force (qi); earlier divine sky vital force into ‘spirit’ (shen), spirit into emptiness and unity, and emptiness and unity into Dao. The Wu Liu School of Daoism may be viewed correctly as eclectic in approach, but ‘exact’ in instruction. It manages to integrate not only the diverse Daoist schools, but also the other Chinese religions of Buddhism and Confucianism. It is a Broad Way (Da Dao), through which all can pass, and is the product of a particular kind of Chinese spiritual ingenuity. Zhao Bichen, after absorbing the teachings and experiences of this school, developed his understanding through a spiritual expression that came to be considered a sub-branch of the Wu Liu School. This school – with Zhao Bichen as its founder – is known today as the ‘Qianfeng Xian Tian Pai’ (千峰仙天派), or the ‘Thousand-peaks Earlier Divine Sky School.’ In essence this refers to the actual realisation of a primordial substance that underlies all things – including ‘emptiness’. The ‘earlier divine sky’ concept refers to the notion that spirituality and creativity, (indeed, all of life itself) emanates from a divine substance that is posited to exist in an upward direction, i.e. toward the sky. In the old days, early Chinese cultures used divining methods that involved burning and smoke – the smoke rose toward the sky – where external divine entities such as ‘di’ and ‘tian’ where thought to reside. It is also the direction that the ancestral spirits are believed to exist – accessed through correct religious ritual (Confucianism). Within Daoism, these divine creative forces are viewed as existing not only as an external entity – throughout the broad sky, but also within the mind of each human being. 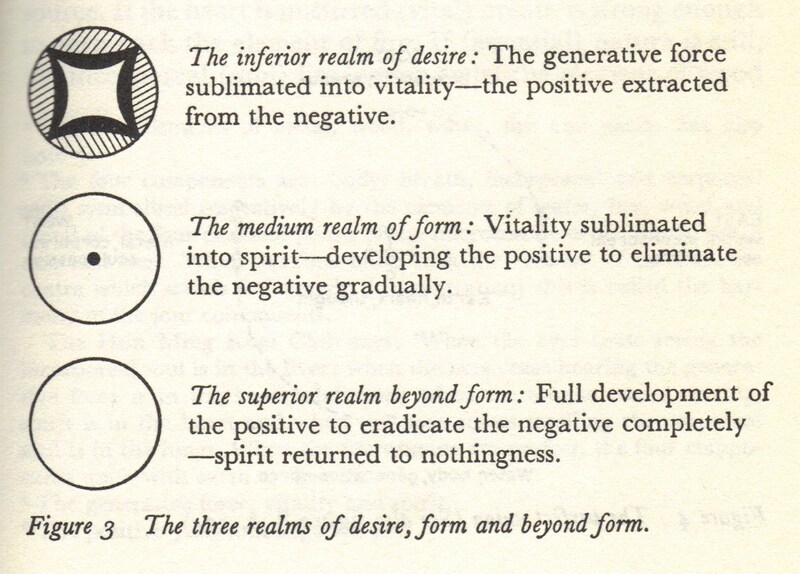 This external broad divinity is inwardly realisable through the correct cultivation methods and suggests that ‘mind’ and ‘physical matter’ are actually at one in essence, but appear to be separate in the undeveloped, non-immortal state. The ‘earlier divine sky’ concept refers to the time just before the all things are manifest – it is a state unsullied by the manifestation of the diversity of life. Multitudinous creation obscures its presence, but does not destroy it. It can be re-discovered through the cultivation of the mind itself. The broad expanse of the physical sky becomes the realised all-embracing oneness of the immortal mind freed from the distraction of incorrect paths that waste qi and scatter the mind’s awareness. Within the Book of Changes (Yijing), the first hexagram is called ‘Divine Sky’ (Qian). It is comprised of six solid yang lines and denotes out and out creativity. When the six solid lines transform into six broken lines, the second hexagram ‘kun’ is formed. This hexagram is interpreted as meaning ‘receptive’, ‘supportive’ and ‘bearing’, and takes this meaning from the broad earth itself, which has the ability to support all things. In this way it is obvious to understand how the ‘divine sky’ can give rise to the ‘supporting earth.’ The spirit ‘shen’ equates with the principle of the ‘divine sky’. Jing (the receptive earth), is the physical matter that comprises the world, which arises within shen. Qi is the animating vital force that flows through shen and jing – in this regard it unites that which is above, with that which is below. Energy flowing efficiently through both spirit and matter ensures a certain long life and the ability to perform unusual physical feats of endurance and strength. Many ordinary Daoist qigong exercises perfect this type of practice. However, these attainments of efficient qi manipulation are not the attainment of true immortality as envisioned by either the Wu Liu or Zhao Bichen’s Xian Tian School. Regardless of the physical cultivation that is pursued and mastered, the attainment of immortality must be achieved through the focus of the mind itself, so that shen (spirit), Jing (essence), and qi (energy) are returned to their empty essence, and that this empty essence is returned to the pristine state of Dao. In this context, the pristine Dao underlies all things without contradiction, but its realisation ‘here and now’, is dependent upon effective cultivation (neidan) techniques and good guidance. “My masters Liao Jan and Liao Kung once said: ‘When beginning to cultivate (essential) nature and (eternal) life, it is necessary first to develop nature.’ Before sitting in meditation, it is important to put an end to all rising thoughts and to loosen garments and belt to relax the body and avoid interfering with the free circulation of blood. After sitting the body should be (senseless) like a log and the heart (mind) unstirred like cold ashes. The eyes should look down and fix on the tip of the nose with one’s attention concentrated on the spot between them; and in time the light of vitality will manifest. This is the best way to get rid of all thoughts at the start when preparing the elixir of immortality. ‘When the generative force moves to obey its worldly inclination, the purpose of regulating the breathing is to draw the force up to the lower tan tien in the lower tan tien cavity under the navel so as to hold it there and transmute it into an alchemical agent which is transformed into vitality in the solar plexus. Thus the lower tan tien in the lower abdomen plays the role of a burning stove supporting cauldron which contains the generative force ready for subsequent ascension to the solar plexus. After being purified the generative force is carried in the microcosmic orbit to the solar plexus, called the middle tan tien, which becomes the middle cauldron and is scorched by the burning stove in the lower tan tien under the navel. It is in the solar plexus that the generative force (now the alchemical agent) is transmuted into vitality which rises to the brain (ni wan) where the vital breath, hitherto hidden and dormant, will be stirred by well regulated breathing which will prevent it from dispersing. The precious cauldron has now manifested in the brain (ni wan) whereas the burning stove remains in the lower tan tien under the navel. ‘Question: ‘When I was taught to meditate I was urged to empty my heart (the house of fire) of all thoughts, set my mind on cultivating (essential) nature and open my eyes to contemplate the void to accord with the correct way; will you please explain all this to me? Answer: ‘Seeing the void as not empty is right and seeing the void as empty is wrong, for failure to return to the (tsu chiao) centre (which is empty) prevents the light of vitality from manifesting. Under the heart and above the genital organ is an empty space where spiritual vitality manifests to form a cavity. When spirit and vitality return to this cavity, spiritual vitality will soar up to form a circle (of light) which is not void. Voidness which does not radiate is relative but voidness which radiates is absolute. Absolute voidness is not empty like relative voidness. Voidness that is not empty is spiritual light which is spirit-vitality that springs from the yellow hall centre (huang ting or middle tan tien, in the solar plexus). My master Liao Kung said: “When the golden mechanism (of alchemy) begins to move and gives out flashes of light that hall of voidness (hsu shih, i.e. the heart devoid of feelings and passions) will be illuminated by a white light which reveals the mysterious gate (hsuan kuan), the presence of which does but mean emptiness. Charles Luk received instruction in Qianfeng Xiantian Daoism, either directly from Zhao Bichen himself, or one of his students. He chose to translate Zhao’s manual because although it is most definitely Daoist in flavour, it borrows so much imagery and terminology from Ch’an Buddhism that its teachings are generally understandable to those following the Ch’an path. Indeed, the Daoist instruction regarding the void is so precise that any Buddhist would benefit from reading it. Furthermore, Zhao and his teachers carefully acknowledge all the different stage of experience within meditation, whereas a Ch’an master would simply instruct the student to ‘lay it all down’. It is not that one method is better or worse than the other, but rather that both methods are useful. The Ch’an master is always taking the student directly to enlightenment and gives no attention to the experiences along the way which are temporary and passing. However, this does not mean that they are of no actual use. The Daoist master carefully points them out for the student so that they form definite sign posts toward the goal of the attainment of Immortality. Zhao Bichen’s Daoist equates the acquisition of the all-embracing emptiness that contains all things, with the state of Immortality. This means that for this school of Daoism, its ideal of Immortality is exactly the same as the Ch’an definition of enlightenment. Dualism is transcended and the true nature of reality is achieved. These websites offer expert English language translations of important Qianfeng Daoist Chinese language texts, free for all to access. Previous Post: Richard Hunn (1949-2006) – British Sinologist. Next Post: Scholar Cen Xue Lu (1882-1963) – Xu Yun’s Editor.